"Fruit Logistica a seedbed for innovation and partnerships"
Next month's Fruit Logistica is truly a global event, attended by a varied list of companies. Many will be looking for new products, new regions, and new technology. 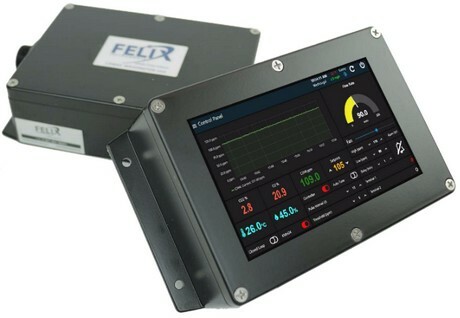 Washington-based scientific instruments developer Felix Instruments, Inc. – Applied Food Science, says Fruit Logistica is invaluable for innovation in the tech-space, and a fantastic opportunity for developing relationships and information sharing. "Many of the now strategic relationships we have built began at Fruit Logistica," said Felix Instruments President Leonard Felix. "It's a place we like to visit to get new product ideas and talk to fellow industry professionals regarding what tools are needed in the industry and what is important to growers and shippers. These annual face-to-face meetings keep innovation pumping. From a business point of view, we can identify which industry needs we should be investing in." 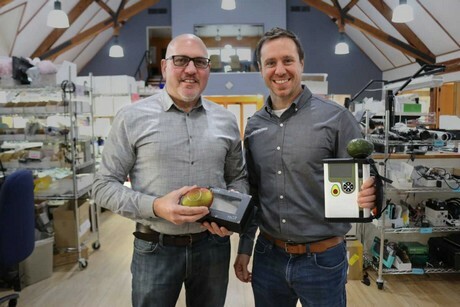 Leonard Felix (left) with some of the new atmosphere control instruments, and Scott Trimble holding the Avocado Quality Meter. When Felix Instruments first attended Fruit Logistica, they had their own booth. However, they now feature in three different booths with industry partners displaying a wide range of products. "We found that our products were too specific to warrant having our own booth," Felix explained. "After our first visit, we decided to re-attend in our distributor's booths as they display a wider range of products. In this way, we get a greater understanding of customers’ needs. This year we will be present in three different booths. STEP Systems GmbH, who focus on the fresh produce industry in Germany and Eastern Europe, Interko - a builder of ripening rooms, and Catalytic Generators, a developer of ethylene ripening systems." Since its founding in 2013, Felix Instruments has focused on the application of two technologies to the fresh produce industry - gas analysis and near infrared spectroscopy. From these, they have launched products like their Produce Quality Meter. They have recently delved into a third line - post harvest atmosphere control. Specifically, the company is working on instruments to be used in ripening rooms and controlled atmosphere storage facilities. Felix remarked that business partners were vital to the development of the new line, with some of the partnerships having their roots at Fruit Logistica. 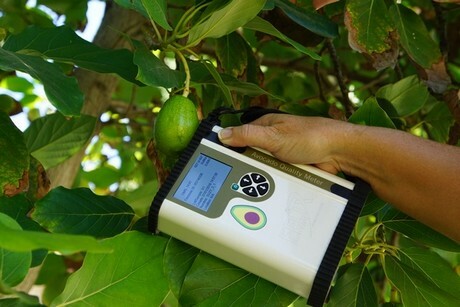 After the 2016 launch of their Produce Quality Meter, Felix Instruments set to work on product-specific quality meters, the first of which is the Avocado Quality Meter. This meter is specifically engineered to gauge the maturity of avocados via dry-matter assessment, a process the company says traditionally took days but now takes just 12 seconds. The meter was officially launched late last year and the first units have now been shipped, Felix announced. The Avocado Quality Meter will be a central feature of the company's Fruit Logistica attendance. "Our first batch of Avocado Quality Meters has been shipped," Felix said. "The instrument is working beautifully and can be demonstrated to industry professionals. This tool is going to revolutionize the industry because this process has in the past meant that growers had to invest in multiple workers and the associated lab equipment over a number of days just to get a snippet of the data we can now achieve in seconds. These workers can now be re-deployed into the fields to collect a massive amount of data which can be used with FruitMaps, our free proprietary software, to map maturity of orchards, to plots, to individual fruit." "Fruit Logistica is well timed as a launch pad for the Avocado Quality Meter, and can introduce us to avocado growing regions beyond California and Mexico, such as Southern Europe and Africa. We will soon be launching the Kiwi and Mango Quality Meters which will offer the same functionality to the kiwi and mango industries."